Currently the old site was copied as is. Later I will revise it. This site looks a bit out fashioned, doen't it? Well, it hasn't changed much in style in the last 12 years since I started it in 1997 as a fun exercise in the then new "html" language. Now html is not enough for making a nifty site. Nevertheless, this site still gives the basic information about myself in a "traditional" style (ha ha). You can also find me on MySpace. Follow this link for more details about my CDs. I was born in Israel in 1963. I am married to Tamar and father to Amit and Inbal. My parents are Joseph (Sepi) and Drora. I have 2 sisters, older than me, Orly and Roni, and 5 nephews and nieces, Or, Zohar and Nogga Shachar (Orly's children), and Alon and Gili Barth (Roni's children). I grew up in the town of Ramat-Gan, and studied at Nizanim school, and one year at Ohel-Shem high school. When I was 15 we moved to Haifa, where I studied at Hugim high-school. I came back to Ramat-Gan when I was 21, and have lived there since, except for 2 years in which I lived in Boston, MA. I started to play trumpet and piano when I was 10 years old. From 1982 to 1987 I studied composition with the late Israeli composer Harry Nadel. At the same time I studied Physics at the Technion Institute of Technology in Haifa, and received my BA in 1984. I served in the Israeli Air Force for almost 6 years (1984-1990) in the Meteorology unit. During that time I received a master's degree in meteorology from Tel Aviv University in 1990. See a list of my scientific publications. After the army I moved to Boston, to study music composition at Boston University . I got my second master's degree, in music, in 1993. Charles Fussell and Lukas Foss were my composition teachers. I also participated in the conducting class of Theodore Antoniou, and studied jazz piano with Jeff Covell (Berklee faculty). See a list of my recent music works. After returning to Israel I have continued my studies of meteorology, at Tel Aviv University, and got the PhD title in 1999. Later I worked as the scientific manager of the Regional Center for NASA EOSDIS in Israel and I was also partly employed as an investigator at the Interdisciplinary Center for Technological Analysis and Forecasting at Tel-Aviv University (see reports list). Since December 2000 I worked at IMADENT, a startup company developing medical ultrasound imaging devices. And since October 2003 till 2009 I worked at Itamar Medical, a medical company developing a non-invasive device for early-stage detection of diseases, such as heart problems and sleep disorders. Currently I work at Mer Systems, developing a numerical model-based meteorological data assimilation system. Some photos are available at the Photo Album page. 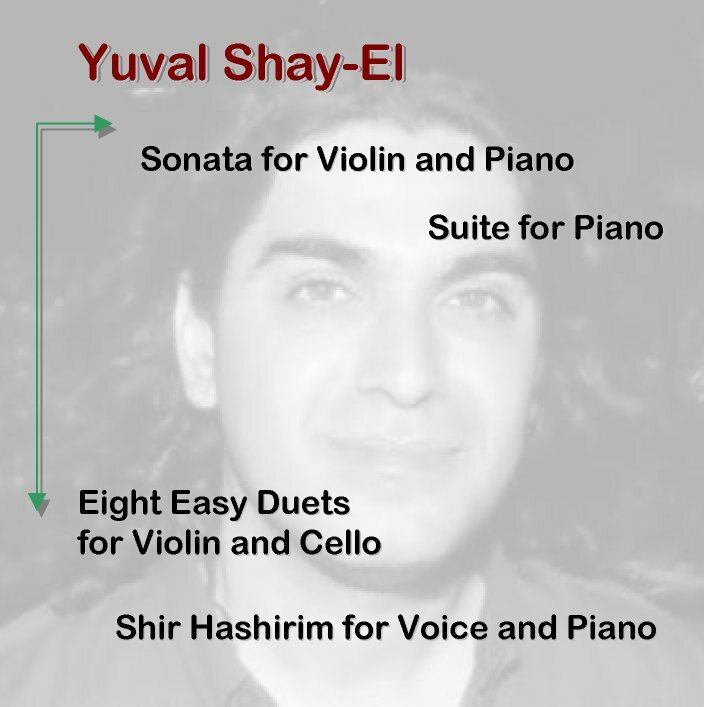 Read my introduction to concert about jazz influence on classical music (in Hebrew). Sonata for Violin and Piano, (2003). Manuscript. 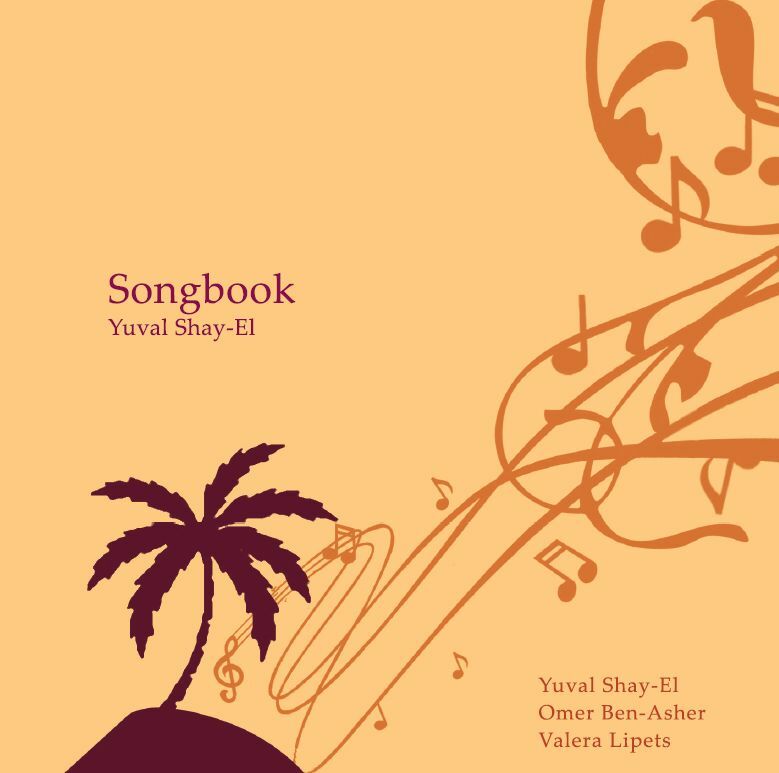 Shir Hashirim (?Das Hohelied?, Heine, Tanny), for voice and piano (2003, 7 min). Manuscript. 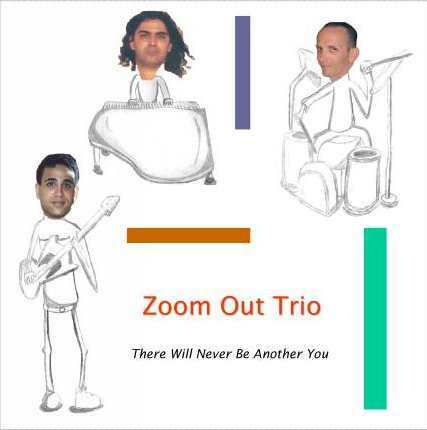 Recorded for a CD, 2003. Suite for Piano, in six movements, (2003, 18 min). Manuscript. Eight Easy Duets for Violin and Cello, (2003, 10 min). Manuscript. Recorded for a CD, 2003. Sonatina, for trumpet and piano (1998, 7 min). Manuscript. Prelude, for guitar solo (1997, 6 min). Manuscript. Dialogue in Minor, for flute and contrabass (1997, 5 min). Manuscript. Real Time, for clarinet solo (1996, 7 min). Manuscript. 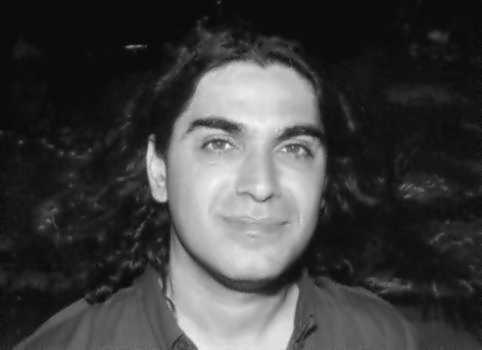 Premiered on Nocturnal Concert ("Hitrachashut Layleet"), Ramat Hasharon. 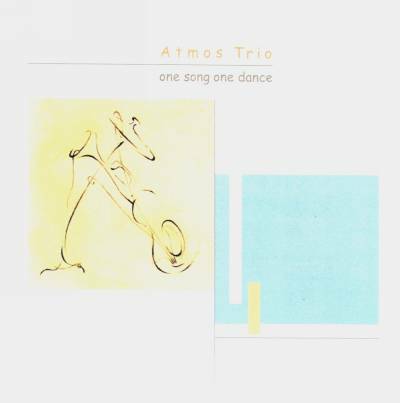 Three Moods, for contrabass solo (1995, 17 min). Manuscript. Tribal Dance, for flute solo (1995, 5 min). Manuscript. Oboe and Clarinet, for oboe and clarinet (1995, 14 min). Manuscript. Living the Past to the Future, for clarinet, violoncello and piano (1994, 20 min). Israeli Music Center, Tel Aviv. Premiered by Musica Nova Consort. Saxonata, for saxophone quartet (1994, 16 min). Israeli Music Center, Tel Aviv. Symphonic Journey, for symphonic orchestra (1993, 13min). Israeli Music Center, Tel Aviv. Time Energy, for wind quintet (1992, 10 min). Israeli Music Center, Tel Aviv. Premiered by Boston University New Music Ensemble. Three Poems by Robert Frost, for soprano and piano (1992, 10 min). Manuscript. 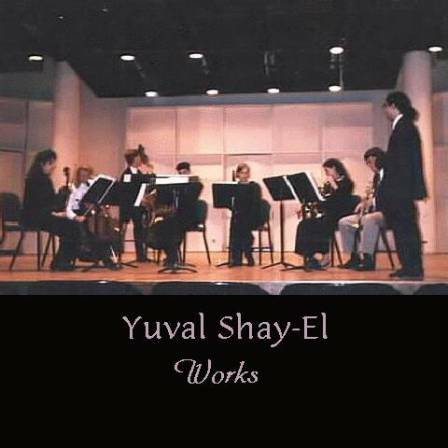 Premiered on Yuval Shay-El, Composition Recital. Impressions, for piano solo (1992, 10 min), Israeli Music Center, Tel Aviv. 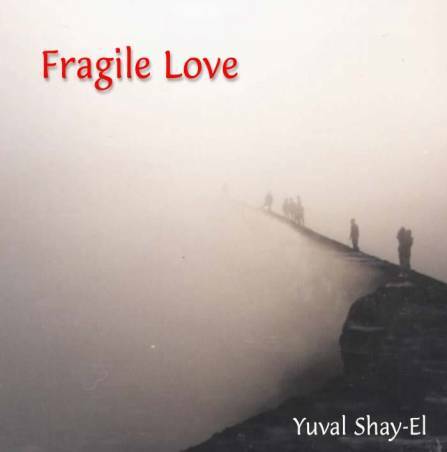 Premiered on Yuval Shay-El, Composition Recital. Concertino for Trombone and Percussion (1990, 12 min). Manuscript. Sonata for Clarinet and Piano (1986, 10 min). Manuscript. Broadcasted on Kol Hamusica. Sonata-Fantasia, No. 2, for piano solo (1986, 10min). Manuscript. Performed at Ein-Hod Artists' Village. Shay-El Y., P. Alpert and A. da Silva, 1999: Applying GEOS-1/DAS for Moisture Budget Calculations over the Sahara Desert . 2nd International Conference on Reanalysys, WCRP, August 23-27, Reading, UK. Shay-El Y., P. Alpert, Y. J. Kaufman, D. Tanre, A. da Silva, S. Schubert and J. H. Joseph, 1999: "Lower-Tropospheric Response to Dust and Clouds as Inferred from Analysis Updates of NASA/GEOS", Proceedings of the International Conference and Workshops on the contribution of POLDER and new generation spaceborne sensors to global change studies, CNES/ALPS99, January 18-22, Meribel, France, Vol. 2, WK1&WK2-O-04 p.1-4. Shay-El Y., P. Alpert and A. da Silva, 1999: Reassessment of the moisture source over the Sahara Desert based on NASA reanalysis. Preprint, Supplementary Collection, 3rd International Scientific Conference on the Global Energy and Water Cycle, WCRP, June 16-19, Beijing, China, p. 8-9. Shay-El, Y., P. Alpert, Y. J. Kaufman, D. Tanre, A. da Silva, S. Schubert, and J. H. Joseph, 1998: Dust Forcing of Climate Inferred from Correlations between Dust Data and Model Errors. submitted to Tellus. (to the special Rossby-100 Symposium issue). Alpert P., Y. Shay-El, and A. da Silva, 1996: Evaluation of the GEOS-1 DAS reanalysis data over a mesoscale Mediterranean domain. Proceedings of the 11th Conference on NWP, AMS, Aug. 19-23, Norfolk, VA, 183-185. Alpert P., Y. Shay-El, and A. da Silva, 1996: Moisture sinks/sources over the Mediterranean and Arabia/Iraqi desert. Preprint, 2nd International Scientific Conference on the Global Energy and Water Cycle, WCRP, June 17-21, Washington D.C., USA, 105-106. Alpert P., Y. Shay-El, and E. Heifetz, 1995: A comment on the geostrophic wind divergence, Quart. J. Roy. Meteor. Soc., 121, 227-228. Alpert P., and Y. Shay-El, 1994: The moisture source for the winter cyclones in the eastern Mediterranean. Israel Meteor. Res. Pap.,5, 20-27. Shay-El Y., 1990: Dynamic Analysis of the Mediterranean Cyclones. M.Sc. Thesis, Tel Aviv Univ., March 1990, 72 pp. (in Hebrew). Alpert P., B. U. Neeman, and Y. Shay-El, 1990: Climatological analysis of Mediterranean cyclones using ECMWF data, Tellus, 42A, 65-77. Alpert P., and Y. Shay-El, 1990: Role of diabatic sources in mesoscale cyclones in the eastern Mediterranean, Preprints, Fourth Conference of Mesoscale Processes, Amer. Meteor. Soc., Boulder, 20-21. Alpert P., B. U. Neeman, and Y. Shay-El, 1988: Some characteristics of Mediterranean circulations, Preprints, Palmen Memorial Symposium on Extratropical Cyclones, Amer. Meteor. Soc., Helsinki, 282-285. Shay-El Y., A. Tal, and Y. Sharan, 2001: Assessing the Solar Energy Balance in the City of Tel Aviv-Yaffo. Report to the Belfer foundation and the Israel Ministry of Energy and Infrastructure , May 2001 (in Hebrew). Hauptman A., Y. Shay-El, and E. Tapuchi, 1999: Cryogenic Cooling: State-of-the-Art and Development Trends. Report to the Ministry of Defense, Interdisciplinary Center for Technological Analysis and Forecasting, March 1999 (in Hebrew). Sokolov M., T. Sofer, A. Hauptman, M. Harel, and Y. Shay-El, 1999: ORT - Hermelin College in Netanya: Registration Potential and Preferred Learning Disciplines. January 1999 (in Hebrew). Tapuhi E., and Y. Shay-El, 1998: Techno-economic evaluation of the uses of phosphogypsum. Report to the Ministry of Environment, Interdisciplinary Center for Technological Analysis and Forecasting, February 1998 (in Hebrew). Raban Y., and Y. Shay-El, 1998: Options for municipal waste management - Developing a methodology for Kfar Saba municipality. Report to the Kfar Saba Municipality, Interdisciplinary Center for Technological Analysis and Forecasting, May 1998 (in Hebrew). Harel M., Y. Raban, E. Verdoner, and Y. Shay-El, 1997: Mobile Personal Communication Services. Report to the Ministry of Communication, Interdisciplinary Center for Technological Analysis and Forecasting, March 1997 (in Hebrew). Raban Y., and Y. Shay-El, 1997: The obstructing factors for researchers in the academy in collaborations with the industry in Israel. Report to the Ministry of Science, Interdisciplinary Center for Technological Analysis and Forecasting, April 1997 (in Hebrew). Sokolov M., T. Sofer, Y. Shay-El, Y. Baal-Shem, and Y. Raban, 1996: Forecasting of the Israel education workers for 2005. Report to the Ministry of Education, Culture, and Sports, Interdisciplinary Center for Technological Analysis and Forecasting, May 1996 (in Hebrew). Baal-Shem Y., Y. Raban, Y. Shay-El, V. Lev, V. Shacham, and B. Schwartz, 1996: Cross impact analysis between sectors in the technological forecast of the electricity demand. Report to the Israel Electricity Company, Interdisciplinary Center for Technological Analysis and Forecasting, May 1996 (in Hebrew). Shay-El Y., and A. Tal, 1994: Monitoring absorbed energy in the salt pans of the Dead Sea Works. Proprietary report to the Dead Sea Works, Interdisciplinary Center for Technological Analysis and Forecasting, May 1994, 46 pp. (in Hebrew). Tal A., and Y. Shay-El, 1994: Use of TIROS/AVHRR for thermal monitoring of the Dead Sea Works evaporation pans. Proprietary report to the Dead Sea Works, Interdisciplinary Center for Technological Analysis and Forecasting, August 1994 (in Hebrew).